Our unique complete program: Only We offer perfectly matched fitting systems for doors and windows and accessories! Our practical products: Reduce costs through a quick and easy installation! Our personal service: We are on site if you need assistance! 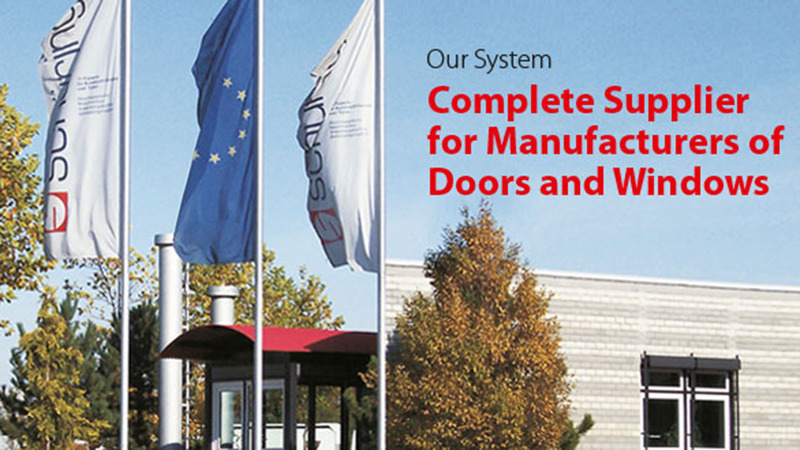 Schüring - Our system means your success! Schüring offers the perfect solution for every application. The individual products for doors and windows are ideally matched, thus offering a complete package for the window and door manufacturer. Tools and accessories for the production complete our product range.